Only 6 weeks until Christmas? 6 Weeks !! What is on your list ? How about adding one of the absolutely gorgeous Shabby Apple creations. Yes just for you! Are you excited yet ? Shabby Apple has wonderful and timeless designs, stylish women's dresses that will make you look fabulous for every occasions. They also have an extensive selection of vintage inspired jewelry and accessories, dresses for little girls, and so much more. How about this classy red number ? Or a navy everyday look? Classic lines oh so feminine in taupe? Or the quintessential little black dress in retro chic ? Don't you think my little Bug would be adorable in one of these? And how fabulous would you look with this stylish bauble around you neck ? "Antique brass filigree pocket watch with etched detail on back suspended on 24” long chain. Pocket watch face opens up to reveal working clock." How lucky do you feel? Well you are even luckier than you think because SHABBY APPLE is also offering a 10% discount to all Artfully Caroline's readers with the code artfully10off for any purchases until December 9th! it looks like i am the first to enter! i am a loyal follower of course! that i just gave away on my blog! I follow Artfully Caroline and love SA's 1943 and All That Jazz lines! I like Artfully Caroline on FB! Who would I be if I didn't follow? Love their 1943 line, hooooly crap need me some new dresses. I've like SA forever on fb. And of course I like you too. I love the navy dress pictured above... not sure which one it's called from website. I can't decide which dress I like best, they are all wonderful...especially since they are modest and stylish at the same time! i love the forbidden city dress! GFC Follower. I love Key To Wonderland Necklace. I'm your newest follower! I adore Shabby Apple's designs. Both the Mad Hatter and White Rabbit timepiece necklaces are cute. And their dresses are amazing! Oh, and I already like Sahbby Apple on Facebook! I'm a follower :) I really like the Boogie Woogie dress at Shabby Apple! I like SA on fb as Tabitha Swain Klucking. I like you on fb as Tabitha Swain Klucking. My favorite has to be The Fitzgerald Dress! I love the 1943 G. Cooper dress! I'm a GFC follower, and I love the Bordeaux necklace. I like Shabby Apple on facebook as Jay Dee. I like Artfully Caroline on facebook as Jay Dee. I follow on gfc and I love the b-17 bomber dress. I LOVE their Red Baron dress! So 40's. Love Shabby Apple. Thanks for the giveaway! I love the Selby boots! Already a follower of Shabby Apple on FB! I'm a new follower. 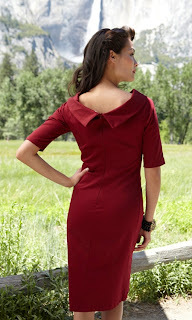 My favorite Shabby Apple dress is the Carnivale dress...LOVE that color! I like the "tea and cakes" shoes.